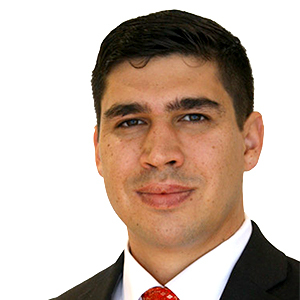 KKR Real Estate Finance Trust Inc.
Javier Justiniano is an Associate at KKR Capstone1, a global team of approximately 60 full-time operating professionals dedicated to supporting KKR’s deal teams and portfolio companies. He and his colleagues work to create value by identifying and delivering sustainable operational performance improvements within KKR portfolio companies. Javier was a member of KKR Capstone’s 2017 MBA Summer Internship program and joined full-time in 2018 after completing his M.B.A from Harvard Business School. We sat down with Javier to learn more about his internship experience, working in-house at a portfolio company, and why he decided to return to KKR Capstone after graduation. Tell us about your background and why you chose KKR Capstone’s summer MBA internship program? I grew up in Chile and studied Industrial and Computer Science Engineering at Pontificia Universidad Católica de Chile. I worked as a senior executive at two different Venture Capital backed start-up companies in the financial services sector and then spent four years in management consulting at McKinsey & Company before heading to Harvard Business School. While studying for my M.B.A, I explored several summer internship alternatives and also contemplated returning to the management consulting world. The KKR Capstone opportunity caught my attention as a unique mix of investing, strategy and hands-on execution from the perspective of a business owner– a perfect fit with my own values, work experiences and career interests. I was eager for an internship opportunity where I could hit the ground running, roll up my sleeves and become fully integrated within an investing team and a portfolio company. What surprised you most about your KKR Capstone internship experience? Both the intensity of the experience and the depth of engagement I had with a portfolio company over a 12-week period were incredible and exceeded my expectations. Day 1 was meeting the class of 2017 KKR interns and hearing from executives from all parts of KKR and KKR Capstone. Day 2 was setting up my e-mail/phone/computer and getting my portfolio company assignment for the summer: AMResorts, one of the business units of North American hospitality company Apple Leisure Group (ALG). By Day 3, I was meeting with ALG’s Chief Operating Officer, Chief Financial Officer, and the top 5 executives of AMResorts. And by the end of my first week, I proposed my workplan for the remaining 11 weeks to AMResorts’ President – and that’s when I really got to work. Describe your experience working alongside a KKR portfolio company. The level of involvement and access I had with management at AMResorts was one of the most hands-on and meaningful learning experiences I’ve had. From a high level, AMResorts was looking to significantly grow the number of hotels under management over the next 2-3 years. So, the focus of my workplan was to ensure that their organizational and systems infrastructure were robust enough to support high growth. Some of their processes were already operating at capacity, so I took a deep dive to diagnose which specific bottlenecks and risks in growth AMResorts could be facing. I traveled on-site to Cancun to meet the team and tour their properties, and interviewed and shadowed multiple team members to understand how their operations run in order to identify improvement opportunities. Management really valued my contribution, as after 3-4 weeks, I was able to pinpoint three very specific initiatives needed to drive and fully enable growth. But I was not done yet. Unlike management consulting, the work at KKR Capstone goes beyond providing recommendations. So, I spent the next 6-8 weeks creating concrete workplans, implementing metrics to track progress, identifying and onboarding internal leaders to drive execution, and making measurable progress on each initiative. These actions provided AMResorts with laser focus and a strong start on solving a previously known, but not yet fully understood issue. Why did you choose to return to KKR Capstone full time? It was an easy decision: I loved the work, KKR and, most importantly, the people. Workwise, I see the KKR Capstone job as a unique opportunity to grow well beyond the mindset of a management consultant and gain the ability (and obligation) to act like a business owner and investor. I still do what I enjoyed as a consultant – working closely with senior executives and board members to identify critical issues and find optimal solutions – but I also have a whole set of new and exciting responsibilities. First, I am sole owner of my initiatives and I am expected to deliver measurable results. This level of accountability forces me to develop and implement realistic solutions for KKR’s portfolio companies and to also make sure they have the talent, infrastructure and resources to achieve those targets. Second, I am able to develop closer and more collegial relationships with CEOs and senior executives. Such exposure provides me with meaningful influence over key decisions at the portfolio companies, as well as the opportunity to develop my own abilities by watching great leaders in action. Third, I am expected to wear the hat of an investor and integrate into KKR deal teams to provide an operator’s perspective when conducting diligence on potential investments and in making critical operational and strategic decisions for the portfolio companies. Company wise, I was impressed by KKR as a truly exceptional organization with a remarkable history as a premier private equity shop and, most importantly, an even more exciting present and future as a leading, rapidly growing global investment firm. Finally, the people at KKR Capstone (and KKR broadly) were my favorite part of the job: they are a group of incredibly talented, committed, focused, scrappy, ethical, diverse and humble individuals who make every day enjoyable, and who constantly inspire and challenge me to become an increasingly better professional.